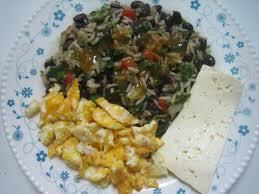 “Gallo Pinto”, who cares who invented it, just pass the Lizano Salsa Please! “Gallo Pinto” is easily identified as one of the most traditional dishes of both Costa Rica and Nicaragua, but is found throughout the Latin American countries. This economic dish consisting of a mix of rice and beans with a variety of other condiments that help make it unique to each country in which it is being prepared, has even become popular in most every Latin American Fast food restaurant. During the cooking process, the rice takes on the color of the beans, giving the dish a speckled appearance, hence the name, “Gallo Pinto”, or “Speckled Rooster” in English. This wildly popular dish has a long history and has been an important part of popular culture of numerous Latin American countries, although its actual origin remains a bit uncertain. 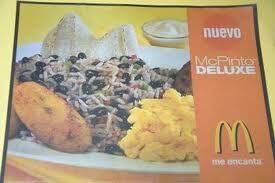 In Costa Rica and Nicaragua, ask anyone and the debate begins as to who “invented” the ubiquitous Gallo Pinto! 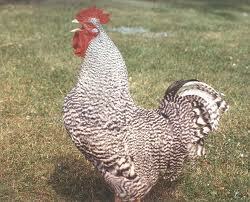 • Costa Rica: “Gallo Pinto”. Using spices such as sweet chile, garlic, culantro and onion. • Caribbean Coast of Costa Rica: Commonly referred to as “Rice and Beans” it is prepared with the milk of coconut and often times spiced with Panamanican Hot Chilis. 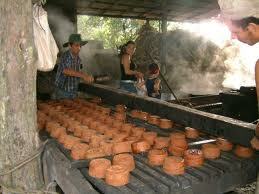 • Nicaragua: Prepared similar to Costa Rica, but almost always with red beans. 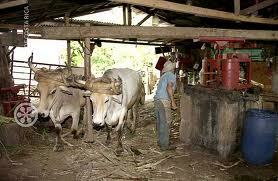 • Cuba: “Moros & Cristianos”, which refers to the “bean & rice” and often contains cumin, laurel and other spices. • El Salvador: “Casamiento”, which basically means a marriage of the rice & beans. • Guatemala: Also known as the Basic “Arroz & Frijoles, on the Caribbean coast they also add the coconut milk and call it “Izabal”. 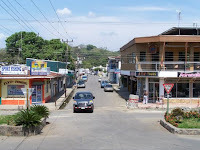 • Honduras: “Casamiento” like El Salvador or along the Northern Coast just “Rice & Beans”. 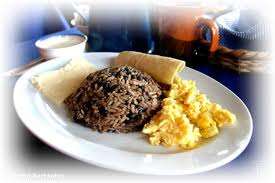 • Panamá: “Gallopinto” (one Word) anda long the Caribbean coast “Rice & Beans” with Coconut milk. • Puerto Rico & Dominican Republic: “Frijol gandul or frijol de palo”. • Perú: “Calentado” or another variance known as “Tacu-tacu”. • Puerto Rico: “Arroz con habichuelas” (another way to say Rice & Beans!). República Dominicana. The origin of this plate has never been completely verified or proven, so although the Nicaraguans insist it was their creation, the true origin is thought to have come from Costa Rica during either the times when the Atlantic Banana Companies were a prominent force in this country or it may have originally been brought with the slaves from Africa to the Caribbean coast of Costa Rica during the construction of the railroad along that coast. Mentioned in literary works in history books, the origins of Gallo Pinto were thoroughly investigated by Patricia Vega of the National University of Costa Rica, and original writings of Gallo Pinto date back to the late to early 18th & 19th centuries. Another traditional legend from the 1930’s, claims the name of this dish had it’s origin in San Sebastián, one of the older rural suburbs South of San Jose, the capital of Costa Rica. According to this well told legend, a rich landowner invited many people to celebrate San Sebastián day at his “Quinta”, where it was announced that they would kill the “painted rooster” (ie; Gallo Pinto), which they had been fattening up for months for this happy occasion. So many people showed up for the celebration, that the rooster was going to be insufficient to give each guest a piece of it’s fine meat. Scrambling for a solution, the cooks made an emergency mixture of rice and beans meant to mask that there was really not enough meat to go around. Of course, people noticed that they did not get any of the coveted “fattened” rooster meat and felt deceived, and from that day forward took to ridiculing the host family asking “Have you tried the Gallo Pinto of Don Bernabé?, It is made of only Rice & Beans”. 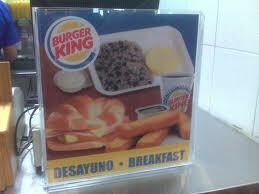 The name “Gallo Pinto” caught on and has stuck over the centuries and now is even common place at fast food joints! There are many ways to prepare Gallo Pinto, much depends on what country you find yourself in, or perhaps what ingredients you might have available at the moment. The original recipe generally contains more rice than beans. Soak the beans in water for 6-8 hours or overnight. The following day, change the water and begin to lightly boil them in a large pot or use a pressure cooker. Heat the oil and fry the chopped onion, garlic and celery, and add them to the beans. Make sure to have a sufficient amount of water covering the beans, usually at least double the height of the quantity of beans. Add the salt and thyme to taste toward the end of the 2 to 4 hours of low boil when the beans are becoming softer. (Salt can make the beans take longer to soften, so add near the end.). If prepared in a pressure cooker, allow around 45 minutes for the beans to completely cook. Drain the beans, keeping some of the cooking liquid for later. Fry the ½ cup chopped onion and garlic cloves in the oil. When the onion crystalizes, add half of the chopped chili. Add the rice and fry everything for around 2 minutes stirring well. Add water to about one finger digit above the level of the rice, bring to boil and then reduce to a low flame for approximately 20 minutos or until the rice is the texture you prefer. When done, turn off heat and leave covered for 10 minutes without removing the lid to allow the rice to finish cooking. Rice is BEST if cooled and left in the refrigerator overnight. Heat a small amount of oil in a large fry pan. Add the remaining chopped vegetables and fry for around 2 minutes until onion crystalizes. Add the cooked (drained) beans and other spices to taste and allow to cook until somewhat dry and most of the liquid has evaporated. Add the cooked (cold) rice and mix well, heating as you go. If you like your Gallo Pinto a little more moist, add some of the liquid from the beans and continue cooking to add moisture and a little more color. At the last minute add finely chopped cilantro to taste and cook slightly until sostened, then serve. Most Costa Ricans serve this with a small dollop of sour cream (natilla) and of course, you must serve it with the famous Salsa Lizano or it just won’t be the same!! The rivalry between Costa Rica and Nicaragua has not died down over the years. 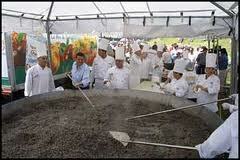 In 2003, when the Costa Ricans, under close watch by representatives of the Guinness Book of World Records and a handful of notaries and lawyers made approximately 965 pounds of rice, beans, sweet chile, garlic, salt and pepper in their attempt to make a new world record. Annoyed by the feat and that Costa Rica then claimed that gallo pinto was their national dish and creation, the Pharaoh’s Casino in Nicaragua announced that they will outdo the Costa Ricans. As stated by Pharaoh’s representative Javier Lopez, “We are going to prepare the biggest gallo pinto in the world because it is 100-percent Nica!” Two weeks later, 15 chefs from Managua’s hotels and restaurants prepared 1,200 pounds of rice and beans, which fed 9,000 people. Argue if you may…..it’s Costa Rican! No, it’s Nicaraguan! But honestly…..Gallo Pinto is simply one of the culinary gems of Latin America and should be enjoyed by all wherever the heck it came from! 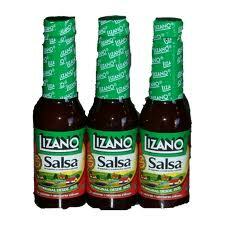 Don’t forget the Lizano Salsa!! Here is an easy to follow video on how to make Gallo Pinto. Note that it is the “National Nicaraguan Dish”, though they show the many countries that consume this delicious Latin Breakfast staple! Buen provecho!! Getting ¨Casado¨ in Costa Rica. No, not married….read on! 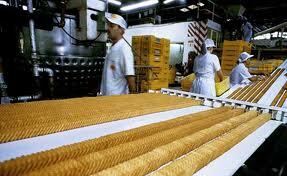 If you are looking for one of the best and tasty deals to be found in Costa Rica, think about getting ¨married¨. 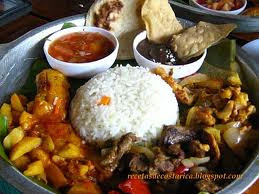 Wait, wait, wait, no need to run screaming, ¨married¨ is the English translation for the most popular dish in all of Costa Rica…..the ¨Casado¨, where rice and beans are ¨married¨, and served with other common local ingredients. To be perfectly honest, Costa Rican cuisine is not a show stopper, in fact it can be downright plain for those that prefer to challenge their palate, but that doesn’t mean it is not good or that you will not enjoy eating like the locals do. 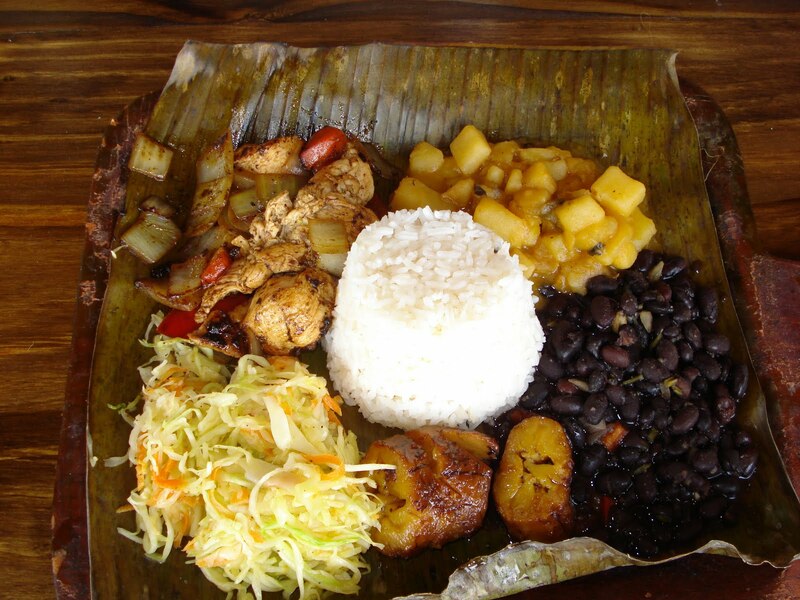 In Costa Rica, rice and beans are the standard ¨Tico¨ fare, and they are generally consumed in some form or another in all three daily meals, and it is a great nutritious option. Starting with the ubiquitous ¨Gallo Pinto¨ (painted rooster) served for breakfast, this delicious and filling mix of rice and beans, chopped cilantro, sweet chili, and onion is served almost every morning with sour cream and/or the famous ¨Lizano Salsa¨, along side eggs, tortillas, and perhaps a slice of cheese, and followed later in the day by the ¨Casado¨. Served at almost any ¨Soda¨ be it the Pacific Coast, the Caribbean Coast or everywhere in between, the ¨Casado¨ is always your best bet while visiting Costa Rica. Most commonly this popular ¨typical¨ dish consists of a chopped cabbage and tomato salad, fried sweet plantains, picadillo (a mix of chopped potatoes, carrots, green beans in a light tomato sauce), a choice of chicken, fish, or meat, often times a hard-boiled egg and/or a slice of fresh salty, slightly smelly white cheese, and of course…..don’t forget the rice and beans! For anyone thinking this does not sound particularly appetizing, you will be pleasantly surprised, as the ¨Casado¨ is not only delicious, but it is a plate load of food worthy of two appetites. 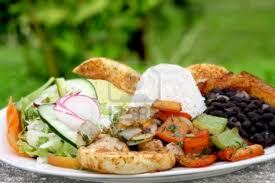 There are economic reasons for the creation of this ¨tipico¨ dish. Though richer than some of its neighbors, Costa Rica is nonetheless still considered a poor country, and its native residents never had the money to develop a sophisticated cuisine or palate as their culinary tradition evolved over the decades. Thus this cheap and nutritious marriage of rice and beans caught on as the typical ¨workman´s lunch¨. strict as the USA, so wash fruit and vegetables before eating them and if you’re eating something that’s peeled, it’s best if it was you that peeled it. Also, when deciding to eat out, the fancier restaurants are not always the cleanest, so in fact, eating where the locals eat is often the safest way to go. 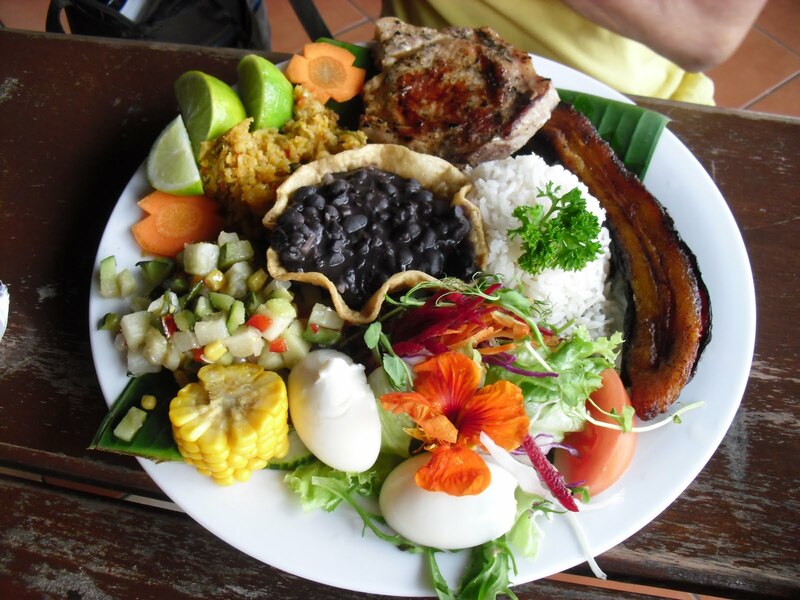 So the next time you find yourself driving the back roads of Costa Rica (they all feel like back roads in Costa Rica), we highly recommend you try the ¨Casado¨ to not only fill your hungry belly, but to avoid putting a dent in your wallet, leaving more money to take home that famous Costa Rica coffee! The other ¨married¨ you were thinking of?…….Well we’ll just leave that decision up to you! 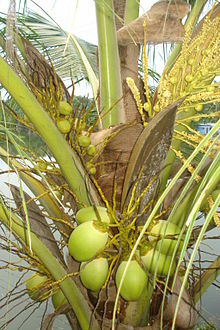 The “Coconut”, the fruit of the palm Cocos nucifera, is the Swiss Army knife of the plant kingdom. In one neat package it provides a high-calorie food, potable water, fiber that can be spun into rope, and a hard shell that can be turned into charcoal. What’s more, until it is needed for some other purpose it serves as a handy flotation device. 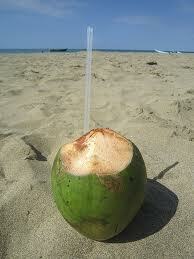 No wonder people from ancient Austronesians to Captain Bligh pitched a few coconuts aboard before setting sail. 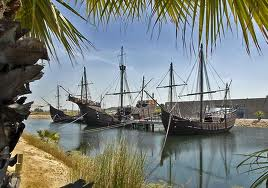 The mutiny of the “Bounty” is supposed to have been triggered by Bligh’s harsh punishment of the theft of coconuts from the ship’s store. 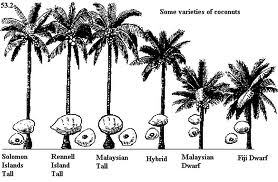 with the history of people traveling that Kenneth Olsen, a plant evolutionary biologist, didn’t expect to find much geographical structure to coconut genetics when he and his colleagues set out to examine the DNA of more than 1,300 coconuts from all over the world. International de Recherches en Agronomie pour le Développement in Montpellier, France, as well as Olsen, associate professor of biology at Washington University in St. Louis, are described in the June 23 online issue of the journal PLoS One. Polynesian varieties. The niu kafa form is triangular and oblong with a large fibrous husk. 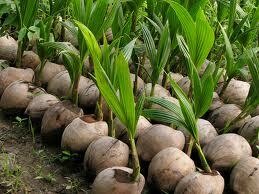 The niu vai form is rounded and contains abundant sweet coconut “water” when unripe. Olsen’s lab genotyped 10 microsatellite regions in each palm sample. 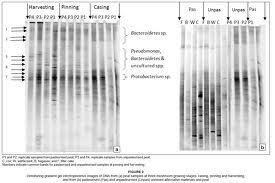 Microsatellites are regions of stuttering DNA where the same few nucleotide units are repeated many times. Mutations pop up and persist pretty easily in these regions because they usually don’t affect traits that are important to survival and so aren’t selected against, says Olsen. 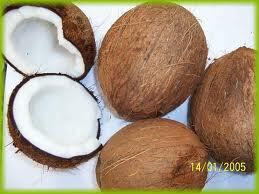 “So we can use these genetic markers to fingerprint the coconut,” he says. The new collections were combined with a vast dataset that had been established by the French agricultural research center, using the same genetic markers. “These data were being used for things like breeding, but no one had gone through and systematically examined the genetic variation in the context of the history of the plant,” Olsen says. the Indian Ocean a couple of thousand years ago by ancient Austronesians establishing trade routes connecting Southeast Asia to Madagascar and coastal east Africa. 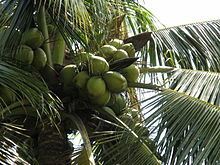 haven’t tried the different varieties of Coconut found around the world, and more specifically, the types found here in Costa Rica, why wait any longer? Whether looking for a refreshing and healthy beverage (think “Pipa” in Costa Rica), or a tasty snack or unique flavor for whatever dish you may be preparing (think “Coco” in Costa Rica), both types are readily available on both coasts, so get your Tropical vibe on!! 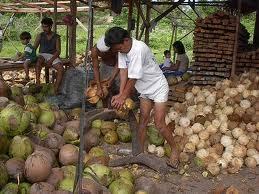 Much more about coconuts in future blog posts!! It’s the fruit that keeps on giving! !